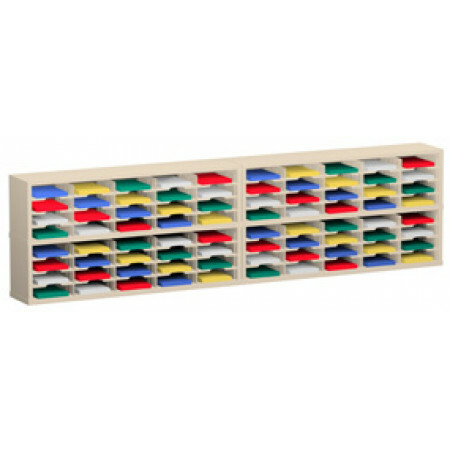 Adjustability, durability and roomy pockets are just a few benefits of our sorters. 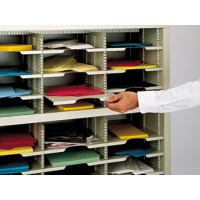 Charnstrom's mail sorters and office organizers offer you roomy adjustable height pockets for departments or personnel who tend to receive an abundance of mail. 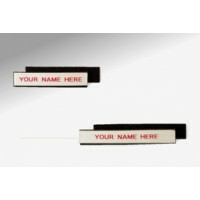 Each pocket is adjustable in height by 1/2" increments and is made out of heavy duty steel construction for years of use. 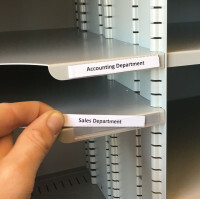 Each shelf has 3/8" lip for identifying each pocket. 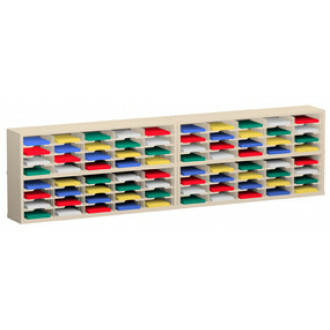 • Charnstrom sorter and office organizer shell is welded construction with removable back. 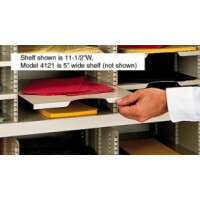 • Individual sorter shelves have 3/8" lips for shelf identification and extra strength. 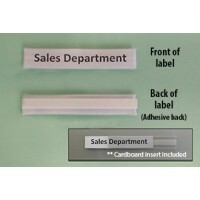 • Front of each sorting shelf has large cut-out for easier mail retieval. • Powder painted and baked on for the most durable finish...specially formulated for chip and corrosion resistance.